The opioid epidemic is devastating communities, breaking families apart, and taking lives across America. In 2016, more than 63,000 Americans died from drug overdoses, more than the total number killed during the Vietnam War. About two-thirds of those overdoses involved opioids. Drug overdoses are the top cause of accidental death in America and the leading cause of death for Americans under 50. The wave of opioid addiction has not yet crested. 2016 was the deadliest year on record for overdoses, and initial estimates suggest that 2017 was even worse. 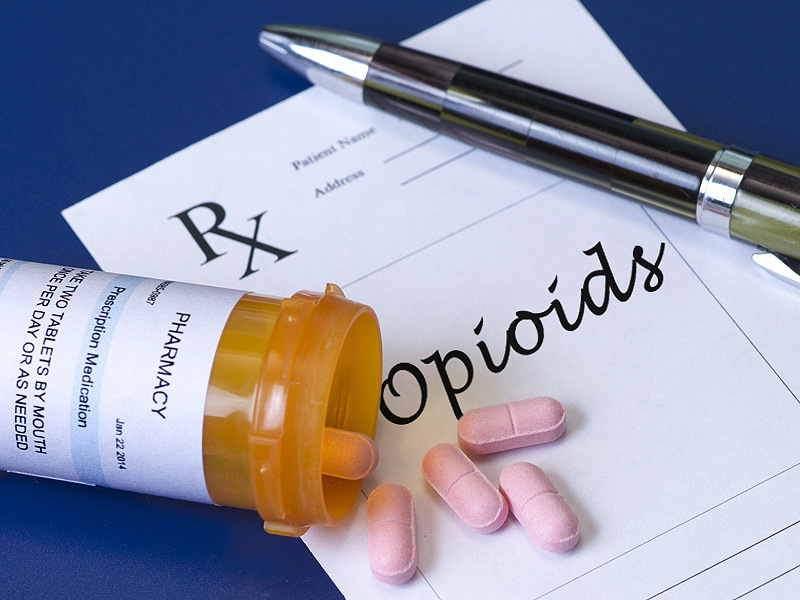 A recent Centers for Disease Control and Prevention (CDC) report found that opioid overdoses increased by 30 percent across the America and a staggering 70 percent in the Midwest from July 2016 to September 2017. Franklin County, Ohio, had 520 overdose deaths in 2017, a 47 percent increase since the year before. That’s just one county in one state, but it’s happening across the country. Fatal overdoses are one manifestation of this tragedy, but there are also frightening ripple effects. Emergency rooms are saturated, first responders are stretched thin, courtrooms are flooded, the workforce is dwindling, and — due to the increasing prevalence of fentanyl — even people unknowingly exposed to opioids are at risk of harm or even death. The opioid crisis affects every aspect of our communities, and everyone has a role to play in overcoming it. That’s why we have partnered to highlight ways we can all come together to solve this crisis. In 2016, the bipartisan Comprehensive Addiction and Recovery Act (CARA) was signed into law. The first comprehensive addiction reform legislation in over two decades, it provided federal resources for evidence-based prevention, treatment and recovery programs to break the cycle of addiction. Emergency overdose reversal and stabilization provides a second chance at life, but longer-term recovery efforts like CARA prioritize providing a second chance to live addiction-free. The Salvation Army has been treating addictions since its inception in the East End of London in the late 1880s. Today, The Salvation Army treats 173,000 people a year in its 139 rehabilitation centers across the America. The Harbor Light Complex in Cleveland, which we have both seen firsthand, assists more than 1,500 people each year. It provides medically assisted detox for addiction, and about 75 percent of those who receive treatment move on to the next levels of care, where they can find housing, an outpatient support network, and a community to help overcome their addiction. These kinds of longer-term programs help those gripped by addiction heal and overcome their disease rather than just treating their immediate symptoms. Between the grant funding through CARA and an additional $1 billion directly to states through the 21st Century CURES legislation, the federal government has made progress in addressing this issue over the past two years, but this worsening problem requires a more concerted effort. CARA 2.0, a bipartisan bill introduced in February, will continue that progress and direct more resources to help people live up to their God-given potential. The recent federal budget agreement includes $6 billion over the next two years to combat the opioid epidemic. Congress needs to use that money to build on CARA’s successes and direct more resources toward evidence-based programs. That’s what CARA 2.0 will do. It will serve as a road map for Congress to spend $1 billion toward programs that help individuals overcome addiction — and, just as important, help stop addiction before it starts. CARA 2.0 will limit opioid prescriptions to three days for acute pain, as recommended by the CDC. It will require doctors and pharmacists to use prescription drug monitoring programs to prevent over-prescribing — and will require states to share data to prevent people from crossing state lines and taking advantage of the prescription drug system. We know that about 80 percent of heroin users started with prescription drugs. Combating opioid dependency on the front end can stop addiction before it starts. The federal government can help solve this crisis, but the heavy lifting will come at the local level. We need businesses more engaged in growing our workforce and helping people out of the shadows; we need community leaders to promote awareness of these issues to overcome the stigma of addiction; we need faith groups to meet human need without discrimination and help people heal; and so much more. Opioids have overtaken our communities — only together can we overcome and take them back. Rob Portman is a U.S. Senator serving the state of Ohio and the author of the Comprehensive Addiction and Recovery Act and CARA 2.0. David Hudson is the National Commander of The Salvation Army USA.